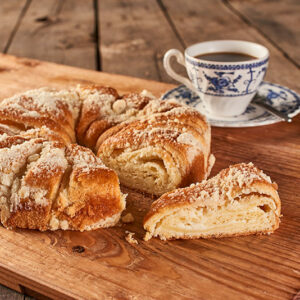 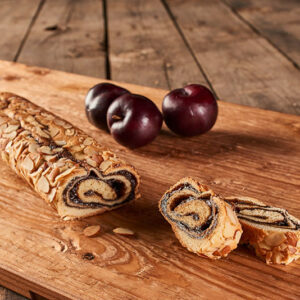 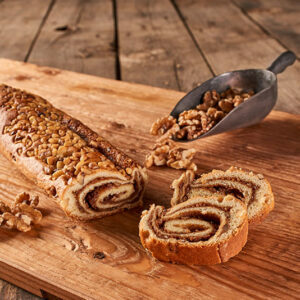 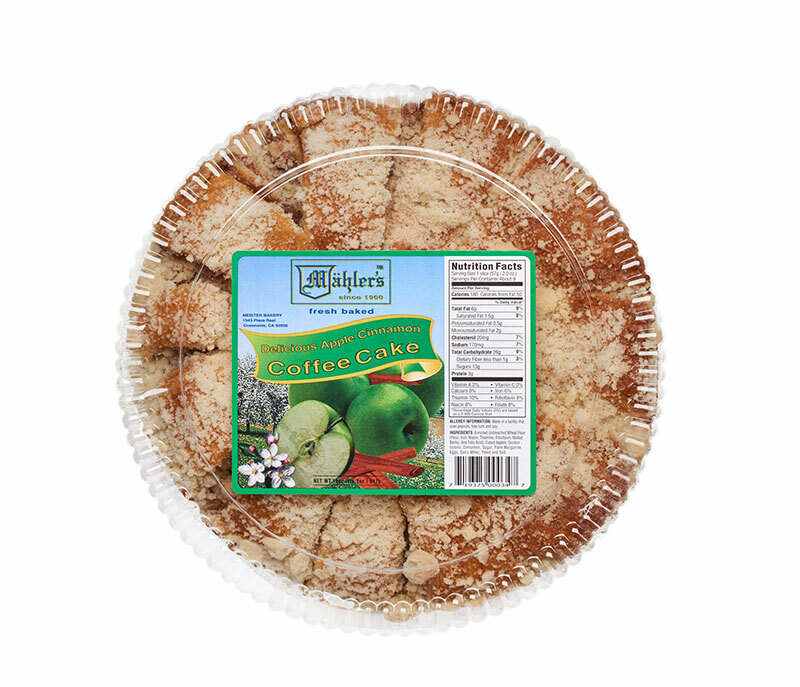 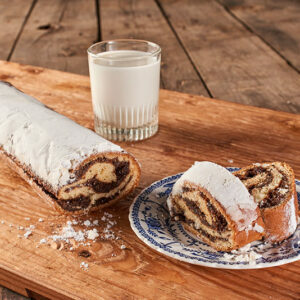 What could be better than a traditional Apple filled coffee cake with your morning coffee. 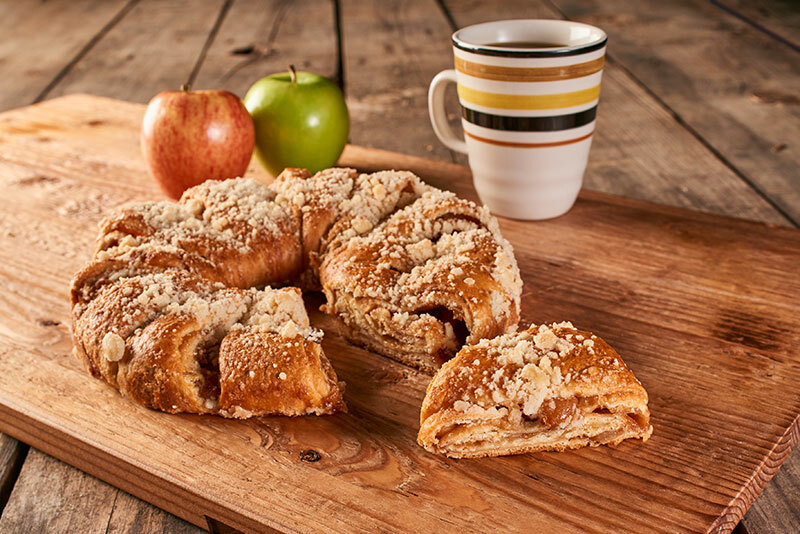 We fill ours with ripe apples and spices and cover it with a rich butter streusel to give it that old fashioned feeling. 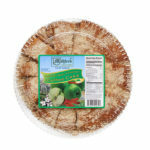 Unbleached Enriched Wheat Flour (Wheat Flour, Niacin, Reduced Iron, Thiamin Mononitrate, Riboflavin, Folic Acid), Butter, Water, Whole Eggs, Sugar, Palm/Canola Oil, Yeast, Dry Whey, Nonfat Dry Milk, Salt, Enzymes, Apples, Raisins, Food Starch-Modified, Natural Apple Flavor, Cinnamon, Nutmeg, Citric Acid.